However, I still need something that is going to keep me going, especially when I reach my well-awaited mom time after 9 pm each night to do the other stuff I need to do. Unfortunately, the pressure of being tired makes me want to open up the pantry and eat all the stuff I’ve worked hard to resist all day long. I just need a little sweet gem and a little energy to kick me into gear as I squeeze out the most vital time of my day…could there be something that could do all that and keep me from chowing down on 400 calories of crap in one setting? ,BR>Well kids, the answer to this wish has come true. 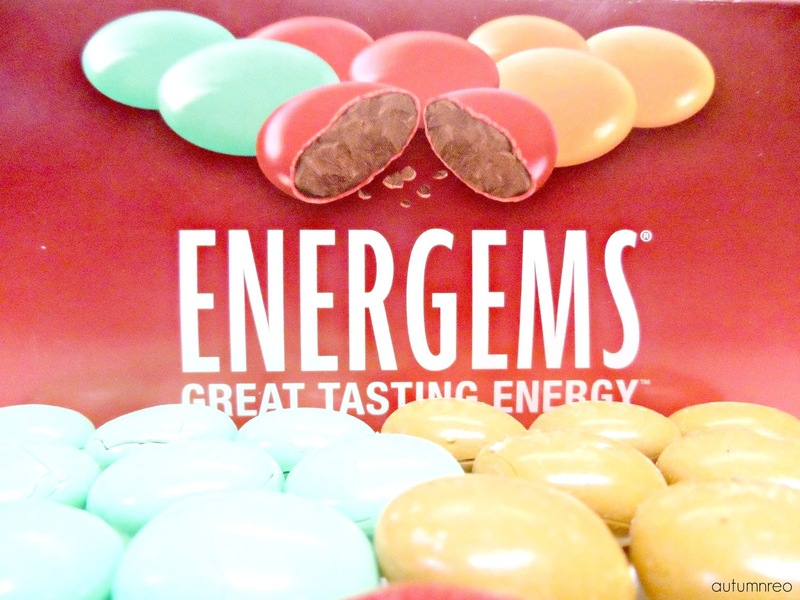 Shaped like a big M&M, Energems are made with real milk chocolate and infused with caffeine, B vitamins and a propriety energy blend that kicks you into gear with each 15-calorie morsel. 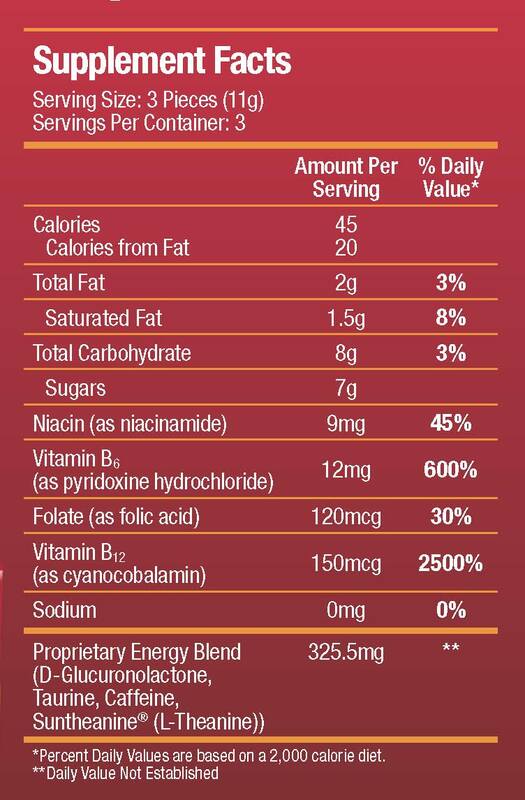 One serving is the equivalent of one 8 oz. energy drink with three servings in each convenient $2.99 box. And with three available flavors: Chocolate Charge, Mint Fusion, and Peanut Butter Blast. I had several different tastes to satisfy my craving and get things moving again! The sweetest thing about Energems is that they are offering a FREE sample on their Facebook fanpage so you can take your own taste test. 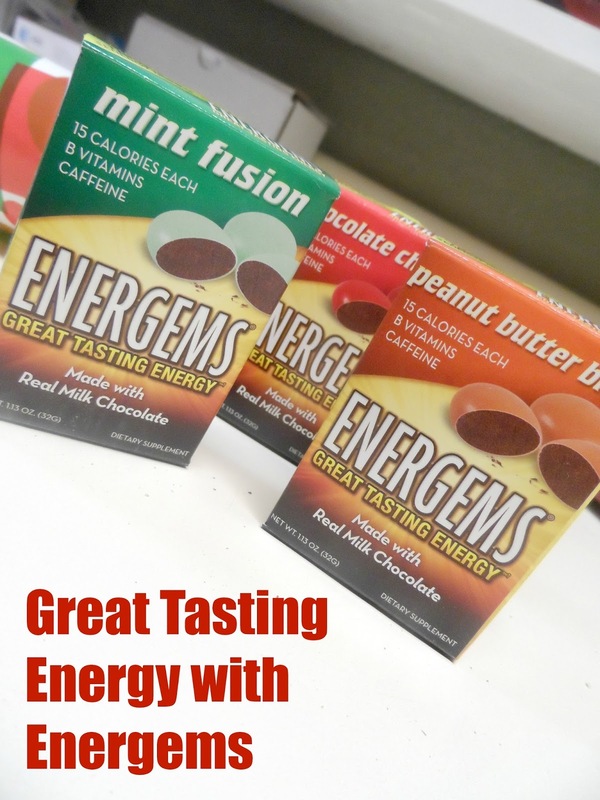 Once you experience the best of both worlds with energy in a nice chocolaty treat, then get 30% off your first order with the code GETLUCKY at energems.net. 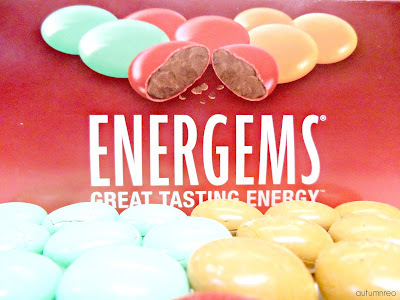 Energems are energy supplements that are bite-sized, hard-coated gems made with real milk chocolate. Designed for the modern, on-the-go consumer, they contain caffeine, B vitamins and a proprietary energy blend. Think of them as a great alternative to traditional energy drinks and energy shots! You can try Energems absolutely for FREE! Just click over to their Facebook fanpage and sign up now. Energems are a delicious and low-calorie way to boost your energy, focus and concentration! Please visit energems.net for more info. This is a sponsored post written by me on behalf of Energems.